A couple of years ago, I stumbled across Damaged, by Cathy Glass, and was completely sucked in. I read it in one day. It was the completely heartbreaking story of a child that Cathy took in as a foster child. Because the book was so intense, I did not run out to read another of her many books right away, but I knew that I would read more of her writing in the future. Daddy’s Little Princess came out in the spring of this year, and so I decided to give it a go. The writeup and tagline on the book itself are very dramatic, speaking of a “shocking discovery” and what not. However, this book was nowhere near as intense as I expected. Depending on your reading style, this might be a good thing. There were two intertwined story lines in this book. One was the story of a little girl named Beth, who comes into Cathy’s care when her Daddy suffers a mental breakdown. The other is a look into the marriage of Cathy and her husband, John. Beth has lived with only one parent, her father, since she can remember. But, their relationship seems to be more than a healthy father-daughter relationship should be. We get a front row seat to watch the struggles and confusion Beth and her dad go through to overcome their inappropriate relationship. Cathy and John have two children who, during this story, are the ages of 6 and 3. John works away ALL THE TIME and Cathy is left to do almost all of the childcare for Beth as well as their own biological children. Within the first couple of chapters I felt this was a weird, weird dynamic. And sure enough, they definitely had their issues, and this story delved right into that side of their lives. While I believe both of these stories serve as very important cautionary tales, I was not satisfied with the writing style— too detailed, stretched out, repetitive, and sometimes plain dull. I definitely would recommend reading a Cathy Glass book that piques your personal interest, but I do not recommend this book specifically. But please do read some Cathy Glass. She really is an amazing writer, mother and foster carer. This entry was posted in Muse Reviews and tagged Book Review, Family, Foster Care, Marriage, mental health, Non-Fiction, Relationships, True Story. Bookmark the permalink. Absolutely beautiful read. Cathy Glass is a wonderful person and has helped so many children, families and adults. What a sad story about Beth but with a beautiful ending. I have read many of Cathy’s books and so not fault any of them. 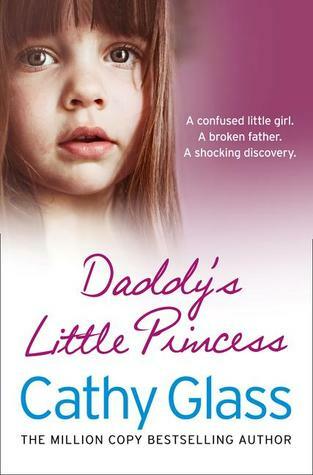 I couldn’t put Daddy’s Little Princess down and now I’m onto Cut by Cathy Glass. Excellent writer with such a beautiful family.